Why do we remember someone and forget others? And that too after two centuries, when our memories often slip into slumber, they tend to forget names who are nothing but occurrences in an infinite chain of exchange. Over a passage of time most relationships dip into rituals. More life becomes instantaneous, the more it is optimization of memory that makes individuals productive. We generally remember names that live beyond time, when their thoughts stretch beyond the contemporary and the past throws light on the present we see. A man born two hundred years ago is still remembered not because of any baggage of wistful loyalty. He is contested, debated, sought for in moments of crisis, in explaining the present. He is alive to some knowingly or unknowingly as an inspiration for change and to some as an occult trouble maker who creeps into the minds of those who are oppressed and exploited and do not accept realities as their predestined fate. When he died in 1883 Frederick Engels’s speech at London Highgate Cemetery began with this line. “On the 14th of March, at a quarter to three in the afternoon, the greatest living thinker ceased to think". "Marx was the best hated and most calumniated man of his time. Governments, both absolutist and republican, deported him from their territories. Bourgeois, whether conservative or ultra-democratic, vied with one another in heaping slanders upon him. All this he brushed aside as though it were a cobweb, ignoring it, answering only when extreme necessity compelled him. And he died beloved, revered and mourned by millions of revolutionary fellow workers -- from the mines of Siberia to California, in all parts of Europe and America -- and I make bold to say that, though he may have had many opponents, he had hardly one personal enemy. His name will endure through the ages, and so also will his work". Karl Marx never forecasted future but his ideas were futuristic. The span of his gaze is defined by historical time, he was not in search of any eternal truth, he was explaining society, a particular form of class society, a particular kind of surplus production, appropriation and distribution and not exploitation in general. His critique of classical political economy emerges from this departure, he was explaining capitalism and not human kind in general. The level of abstraction was appropriate to his central question: how human beings get estranged in capitalism where they are essentially alienated from their societal existence. The relation and interdependence of human beings which are concrete realities appear to be obstacles to individual development. He was looking into capitalism not as an external observer with some ideal reference frame; he was using a particular method of understanding from within, of understanding the pushes and pulls, the interactions and contestations that make capitalism a site for dialectical inquiry. But this method allows one to see an object or a process in its continuity and continuity in history is never smooth and linear; it is marked by radical departures. The present can be stretched to the future and also back to the past identifying contradictory tendencies and turmoil. This is why Marx said “Human anatomy contains a key to the anatomy of the ape”; that the anatomy of an ape can be understood once we understand the anatomy of human beings and not the other way round. Marx could see the remnants of feudalism on the one hand and emergent objectivities of communism on the other. It is precisely this method that makes Marx so relevant even today. One who is keen to understand capitalism and wants to identify its systemic tendencies often takes recourse to Marx. Capitalists do not like Marx not because he was wrong but because he could see the ‘hidden abode of production’, the micro-physics of power within the factory, he unveiled the origin of profit, the surplus-value which is based on none other than exploitation of labour and not on any other mysterious capability of the capitalist. Workers and other oppressed classes often rely on Marx because he is the person who never minced words in telling the truth of our time. The truth that they experience in their daily lives: the ‘theft of labour’ explains the wealth of capitalism. And capitalist ethics and morality is all about defending this theft. Why is Marx so dangerous to some people? Marx’s theory is understanding change and intervening to change at the same time. His theory possesses a profound emancipatory content which is radically different from his predecessors. Marx signifies a ‘philosophical moment’ that radically transforms all subsequent approaches to reality. Michel Foucault who was critical of Marx considered Marx’s writings as transdiscursive, that spills over its own text and influences others, making the change irrevocable. Louis Althusser a French Marxist philosopher said that Marx discovered the third continent of scientific knowledge: the continent of history, the other two being the continent of Mathematics discovered by the Greeks (Thales) and the continent of Physics by Galileo. Scientific analysis is about understanding processes that are under play. And such analyses sometimes give rise to inventions and discoveries that radically change human relations with nature. Similarly, while understanding processes of human society Marx’s theory offers guide to the action of changing history, of influencing subsequent relations within human species. Here it tears apart the myth of eternity of capitalism. Theory in this case is not coffined in the coffers of the library-it emerges as a radical weapon of thought, explaining and changing at the same time. In the age of artificial intelligence, robotics and internet of things, we can easily see how the direct labour time spent by individuals become insignificant. It is all about the fruits of collective dimension of labour appropriated in the general state of science, progress of technology and so on. It depends on social labour, far more interdependent and socialized than ever before which increasingly tends to displace the capitalist measure of individual productivity as vacuous. Human civilization and progress of science and technology gives rise to production processes that now require very little amount of direct labour. This was seen as a progress by Marx but ironically instead of increasing free time for humans it appears to be a mounting threat of job loss for the vast majority of working people. 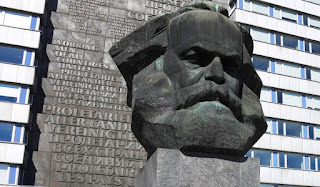 Marx never viewed technology as something evil but it is the system which is based on socialisation of production and appropriation by the few that makes technology the enemy of the people. A social ownership of socialized production would facilitate the progress of science and technology. Further, people would need to work less and their free time would increase. Marx was not a prophet but a dreamer. A dream is always floating between the real and the unreal. It has one leg placed on elements of the concrete and the other one on the realm of the unreal. It is a process of displacement and condensation at the same time. It originates from elements of the real but ends up as something that does not exist at this moment. 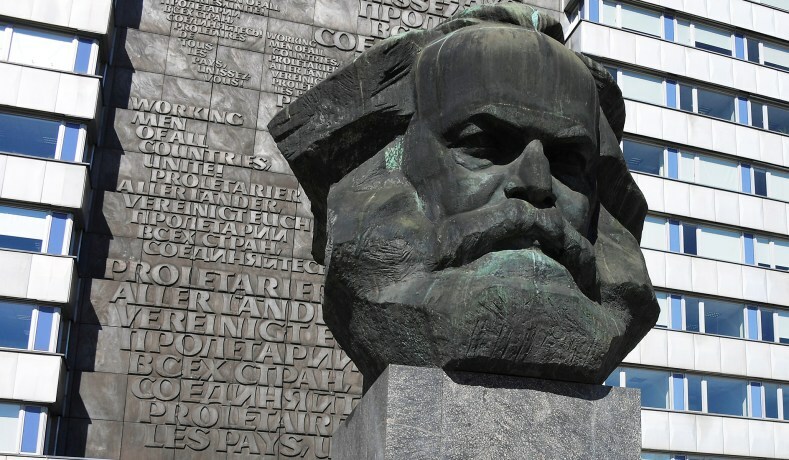 Marx throughout his life was in quest of transforming human relations that compel individuals to subordinate themselves to products of their own creation. This was his project of transcending alienation and the trajectory of this intellectual project was to identify elements in the material reality within society that causes subversion of human freedom. His Capital is all about unveiling the concrete materialities of unfreedom embedded in capitalism. Marx envisaged new society as ‘association, in which the free development of each is the condition for the free development of all.’ He talks about rich individuality which is not individuality as seen in the liberal sense and limited to the quality of having. In fact, Marx says “Thus all the physical and intellectual senses have been replaced by the simple alienation of all these senses: the sense of having. The human being had to be reduced to this absolute poverty in order to be able to give birth to all his inner wealth”. So individuality in Marx is going beyond the impoverishment of human beings whose sensitivity is confined only to the senses of having; it is going beyond capitalist rationality and entering into the creative world where solidarity becomes the new rule of the game. When the dream comes true, may be one may not need to be a Marxist to become a humanist!